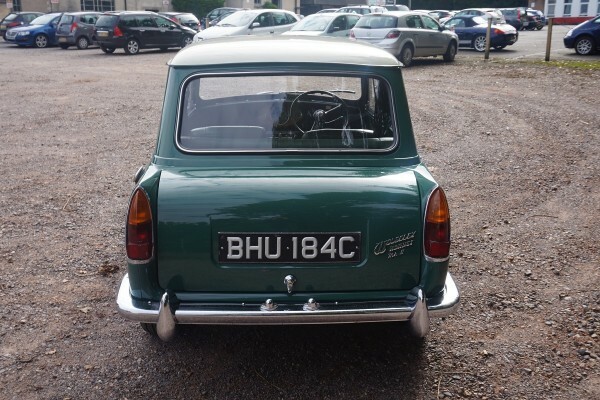 Built as more luxurious versions of the Mini, the Wolseley Hornets had longer, slightly finned rear wings and larger boots that gave the cars a more traditional three-box design. 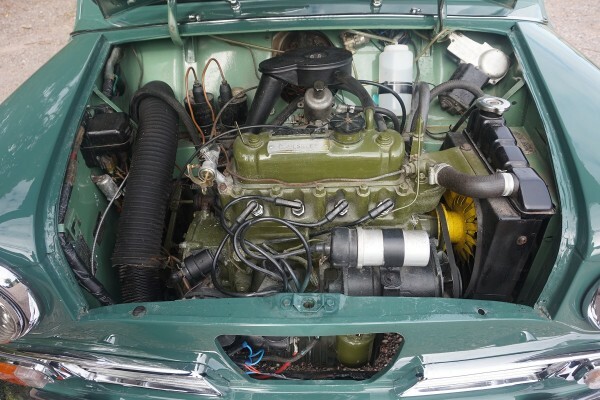 The Hornet went through three engine versions. 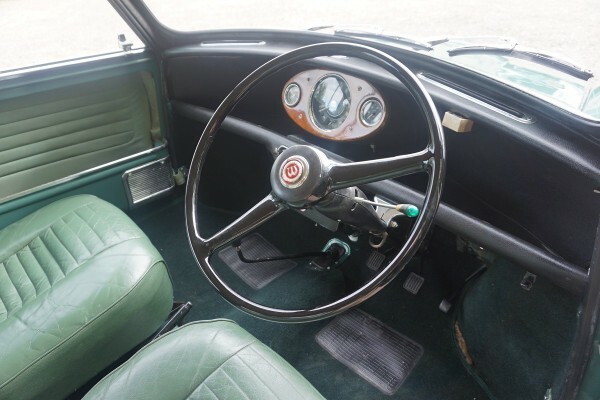 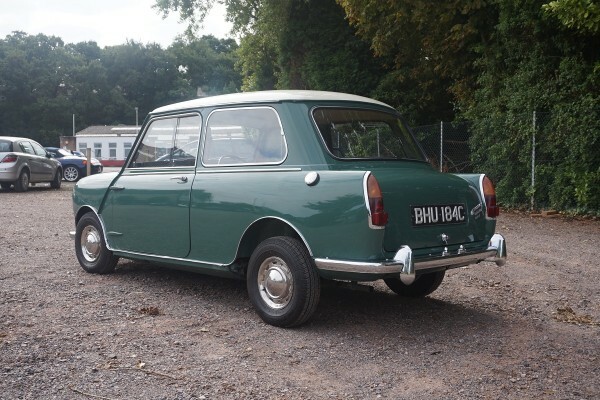 Initially, they used the 848 cc 34 bhp engine with a single HS2 carburettor, changing to a single HS2 carburettor 38 bhp version of the Cooper’s 998 cc power unit in the Mark II in 1963. 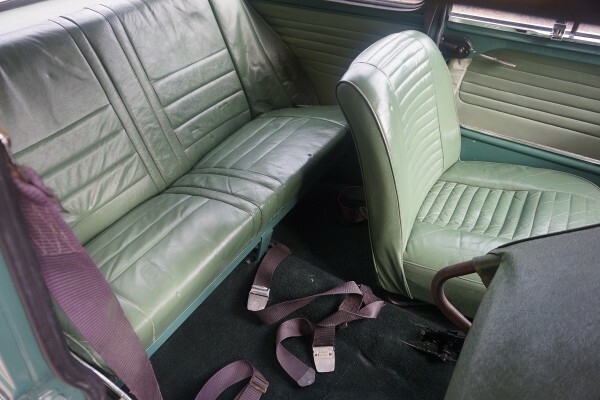 This increased the car’s top speed from 71 to 77 mph (114 to 124 km/h) . 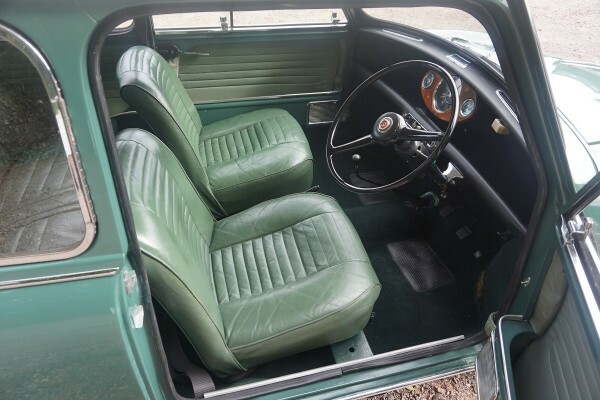 Therefore, Mark II cars also came with increased braking power in the form of front drum brakes with twin leading shoes to cope with the increased power output. 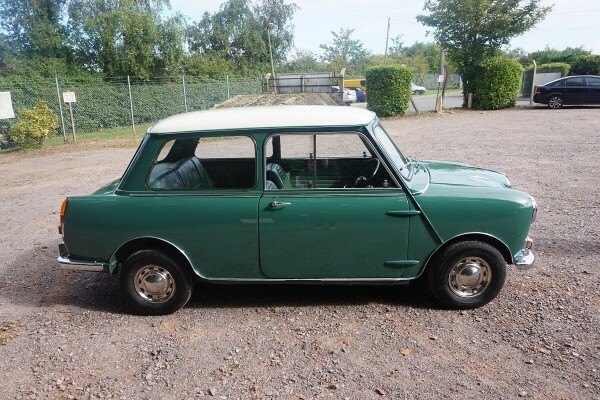 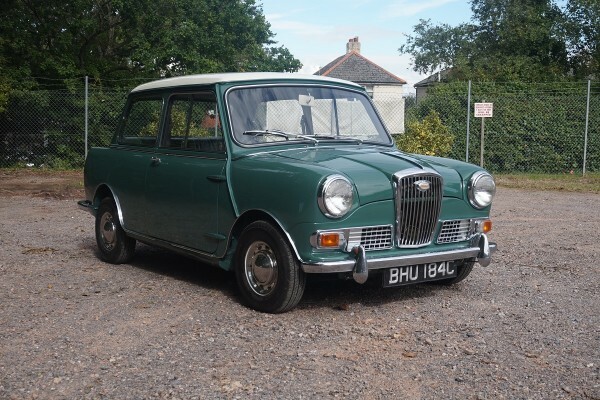 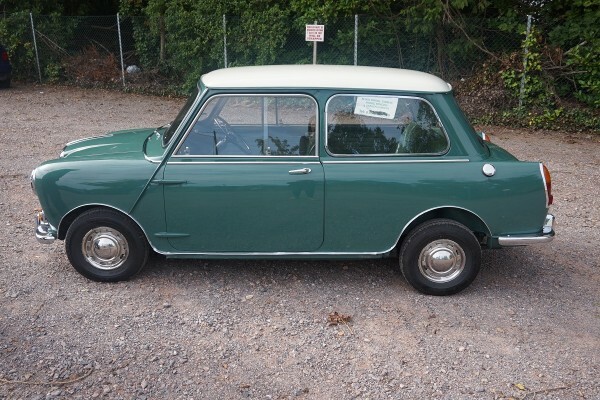 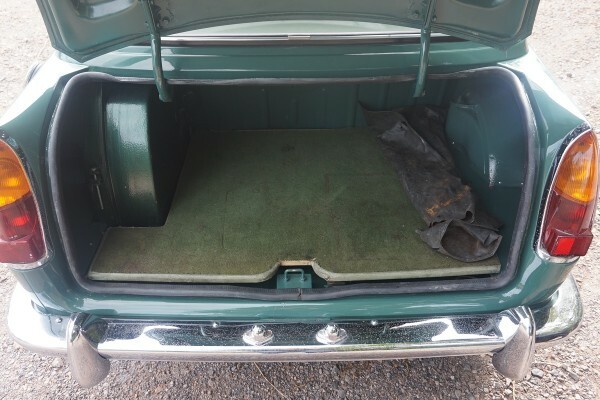 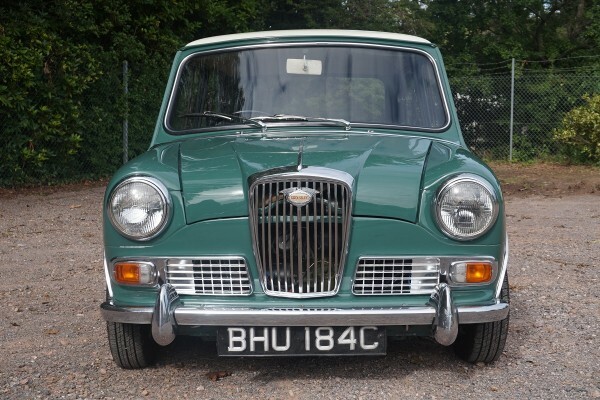 This Wolseley Hornet is finished in green with a white roof and green interior. 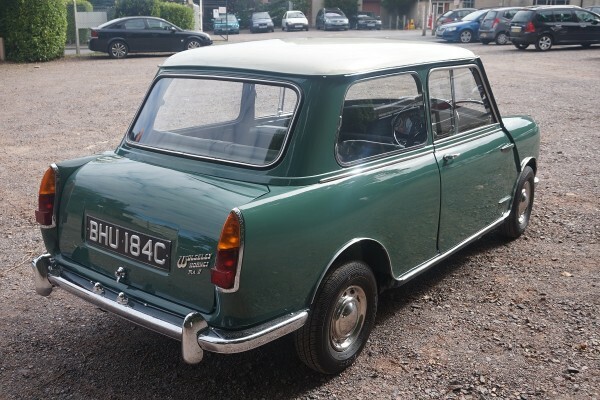 History file contains 2 service books with 14 service stamps ranging from 1965 – 1975, some old MOT’s, loads of invoices and books.